Giving a thrust to the long-standing demand of the maritime legal fraternity the Union cabinet today approved Ministry of Shipping’s proposal for enactment of the Admiralty (Jurisdiction and Settlement of Maritime Claims) Bill 2016 and to repeal five archaic admiralty statutes. The cabinet also approved repealing of five obsolete British statues on admiralty jurisdiction in civil matters, namely, (a) the Admiralty Court Act, 1840 (b) the Admiralty Court Act, 1861, (c) Colonial Courts of Admiralty Act, 1890, (d) Colonial Courts of Admiralty (India) Act, 1891, and (e) the provisions of the Letters Patent, 1865 applicable to the admiralty jurisdiction of the Bombay, Calcutta and Madras High Courts. India with its strategic location with long coast line with important global shipping routes makes it a major maritime nation. About ninety-five percent of its merchandise trade volume and seventy percent by value are moved through maritime transport. 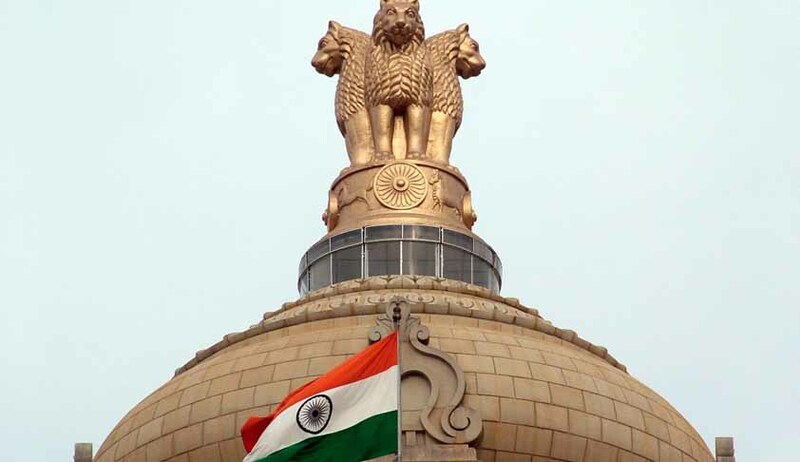 The PIB release stated, ‘under the present statutory framework, the admiralty jurisdiction of Indian courts flow from laws enacted in the British era. Admiralty jurisdiction relates to powers of the High Courts in respect of claims associated with transport by sea and navigable waterways. The repealing of five admiralty statutes is in line with the Government's commitment to do away with archaic laws which are hindering efficient governance’. The proposed bill consolidates the existing laws relating to admiralty jurisdiction of courts, admiralty proceedings on maritime claims, arrest of vessels and related issues. The bill confers admiralty jurisdiction on High Courts located in coastal states of India and this jurisdiction extends up to territorial waters. Exclusive economic zone or any other maritime zone of India or islands constituting part of the territory of India, can also be covered under the jurisdiction by a Central government notification to that effect. Every vessel irrespective of place of residence or domicile of the owner is covered under the Bill except warships, naval auxiliary, vessels used for non-commercial purposes inland vessels and those under construction. However in respect of inland vessels and those under construction, the central government is empowered to bring them under the ambit via a notification. The jurisdiction is for adjudicating on a set of maritime claims listed in the Bill and a vessel can be arrested in certain circumstances to ensure security against a maritime claim. As per the Bill the liability in respect of selected maritime claims on a vessel passes on to its new owners by way of maritime liens subject to a stipulated time limit. The Bill confers admiralty jurisdiction on High Courts located in coastal states of India and this jurisdiction extends upto territorial waters. The jurisdiction is extendable, by a Central Government notification, upto exclusive economic zone or any other maritime zone of India or islands constituting part of the territory of India. It applies to every vessel irrespective of place of residence or domicile of owner. Inland vessels and vessels under construction are excluded from its application but the Central Government is empowered to make it applicable to these vessels also by a notification if necessary. It does not apply to warships and naval auxiliary and vessels used for non-commercial purposes. The jurisdiction is for adjudicating on a set of maritime claims listed in the Bill. In order to ensure security against a maritime claim a vessel can be arrested in certain circumstances. The liability in respect of selected maritime claims on a vessel passes on to its new owners by way of maritime liens subject to a stipulated time limit. In respect of aspects on which provisions are not laid down in the Bill, the Civil Procedure Code, 1908 is applicable.